YAOUNDE, Cameroon (14 November, 2012)_New research shows rural communities in Cameroon rely heavily on forests for everything from their nutritional and medicinal needs to fuel for cooking and will be unable to adapt to climate change without significant outside help. YAOUNDE, Cameroon (14 November, 2012)_Rural communities in Cameroon rely heavily on forests for everything from their nutritional and medicinal needs to fuel for cooking and will be unable to adapt to climate change without significant outside help, a new study found. That could include anything from setting up a meteorological observatory to help farmers during planting season to the establishment of research and action programmes by governments to support communities in increasing their effectiveness of their adaptation strategies. The Center for International Forestry Research’s (CIFOR) Congo Basin and Climate Change Adaptation (CoFCCA) project was developed in 2008 to increase public and policy awareness about the heavy reliance both rural and urban areas have on animal and plant products coming from the second largest continuous tropical rainforest in the world. It also looked at ways in which to protect communities – as well as the natural resources – as the world experiences dramatic shifts in precipitation and temperature. A key lesson was that, no matter how pertinent, local knowledge was not enough, said Denis Sonwa, one of the authors of a paper resulting from the study, focusing specifically on Cameroon. Sonwa’s team looked at the most vulnerable sectors in Cameroon, including energy derived from fuel wood. They focused on charcoal production and consumption, interviewing everyone from the producers and transporters to sellers and consumers to find out how each stakeholder perceived climate change and how it affected their activities. “They were all concerned about the unpredictable rainy and dry seasons which affect levels of production, consumption, and earnings,” said Patrice Metenou, a post-graduate researcher involved in the project, adding that all were vulnerable to climate change but at very different levels. While producers, transporters and sellers of fuel wood could revert to other means of income or hike up the prices of their products and services during the rainy season, when things slowed down, for instance, consumers were all-but stuck. Dependent on charcoal for cooking, they had no choice but to cope with shortages or inflated prices. Metenou noted, too, that each stakeholder often had to devise several different ways to adapt to the changes. “During the prolonged dry season, when charcoal makers need large quantities of water to produce a better quality of charcoal, they move closer to sources of water,” he said, pointing to one example. The Congo Basin is the second largest and most intact tropical forest region of the world after the Amazonian forests. Covering some 228 million hectares, it represents approximately 20 percent of the world’s remaining tropical forest. These forests cover about 60 percent of the total land area of six countries of the central African countries of Cameroon, Central African Republic, Gabon, Equatorial Guinea, Republic of Congo and the Democratic Republic of Congo. Forests are important to the indigenous people in the Congo Basin where more than 80% of people live exclusively on agriculture, fisheries, and livestock. Harvesting activities are highly dependent on climate in the region. According to Sonwa, “Planning climate adaptation strategies with the forest communities in the Congo Basin is absolutely fundamental and urgent in order to cope with the projected inevitable climate impacts”. 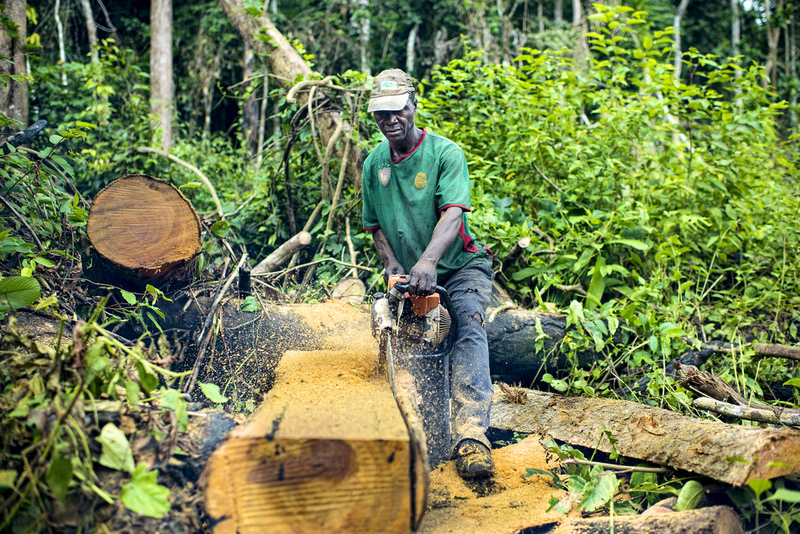 For more stories from the Congo Basin, click here. This research was conducted under the CIFOR’s CoFCCA (Congo Basin Forest Climate Change Adaptation) project which is part of the Climate Change Adaptation in Africa (CCAA) Program supported by the International Development Research Centre (IDRC) and the Department for International Development (DFID).